So… let’s take a look at the method and evaluate it! The snippet below is from the 2010 book The Art of Cosmic Vision by Mantak Chia. It is also in a curezone.com 2008 article, but I’m guessing they updated the page after 2010 to include this. Dr. William Apt, a leading eye specialist in the mid-1900s, recommended the Lemon Juice Eye Bath. He stumbled upon this secret from a 105 year old man. He instructed Dr. Apt to “put three or four drops of lemon juice in an eye cup with purified water and wash the eyes with it daily for about 20-30 seconds with each eye.” Dr. Apt says it is invigorating and strengthening. It removes toxic fatigue of the eye. This ancient oldster washes his eyes daily, eats natural foods, wears no glasses, and has perfect eyesight! 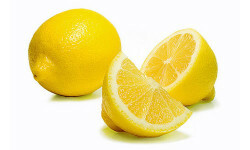 The Lemon Juice Eye Bath is also recommended to cure cataracts, with osteopathic treatment, plus a strict seven-day elimination (vegetable and fruit) diet, once a month. An eye cup is a small plastic or glass cup that fits over your eye, ideally contouring around your orbital bones to prevent much water from dripping out. It’s used to apply eye washes more fully than drops can, basically giving them a bath. You bend over the cup, holding it straight up against your orbital bones, and then tilt your head up, eye open, and blink several times, holding the eye cup tightly against your skin to avoid leaks. The solution is circulated all over the surface of your eye. Note that this is diluted lemon juice. 4 drops in an eye cup filled with water. Pure lemon juice will definitely irritate your eyes quite a bit. Even putting a diluted solution like this in your eyes might cause some irritation. But it will be relatively safe and won’t likely cause any damage. What causes burning is the citric acid in lemon juice. Strong burning is an indication it’s burning away your corneas, which you’ll get from an undiluted dose. Your eyes already have a natural tear production system to cleanse and moisten the cornea and sclera, just as every other moving part of your body is lubricated sufficiently to avoid irritation from friction or dryness. That’s assuming everything is working as it should. If you feel like you have dry eyes, it might not be dryness so much as irritation from the strain of misuse. Your eye doctor should be able to tell you, although I wonder if he would just prescribe you eye drops regardless, the same way physicians will prescribe drugs because that seems to be what the patients want. Doctors will administer eye drops in emergency situations like chemical burns where some intervention is arguably more effective than letting the eyes’ healing mechanisms run their course alone. Beyond emergency situations, I’m not a big fan of things like this because putting anything in your eyes is an invasive procedure. It will interfere with your eyes’ normal function. Your body has everything figured out already. It makes an unfathomable number of decisions every day as to what substances to produce and where to distribute them, as well as many other activities, so if your eyes are dry, it’s not just a matter of your body forgetting to moisten them. If it doesn’t happen very well, there’s probably some reason preventing it from happening or some reason it chose not to. The reasons behind it usually have to do with disease, misuse, nutrition, injury, etc. And if it’s disease, there’s a reason behind that too. Acidic drops like a lemon juice solution or any other solution will affect the pH balance of the eyes for up to 40 minutes, until tears and blinking flushes it out. Normally tear film is around 7 pH. Pure lemon juice is about 2 pH, but of course a diluted solution won’t be as low. Other solutions people have tried are similar. Apple cider vinegar, for example, has acetic acid, which, of course, is an acid as well. On the other hand, dry eyes have been found to have a pH closer to 8, so slightly acidic eye drops might be beneficial. Still, tears contain a lot of stuff like salts and proteins that the eyes need, and you can’t just replace a bodily fluid with lemon juice. Sometimes when you try to compensate for low levels of a substance in the body by supplementing it, it has long term effects with continued use as the body decides that it doesn’t need to produce it anymore, ie: the rebound effect. So you might get dependent on it after a while and suffer worse symptoms if you stop. As an extreme example, anabolic steroids are well known to cause low testosterone in the long term. The same type of deficiency rebound effect has been suggested to be true with vitamin supplements that are continued beyond a couple weeks. All that being said, if a diluted lemon juice eye bath feels refreshing, and you’re using good clean water, it might be ok to do once in a while. I’m not a doctor and am unsure about anything like that. You may want to do some more research before putting things in your eyes. Keep in mind that city water usually has sodium fluoride added, an industrial byproduct (not to be confused with naturally-occurring calcium fluoride), plus other contaminants that do not occur naturally, so at the very least used filtered water. Have you tried a diluted lemon juice eye bath, or drops for that matter, whether for eye strain or another problem? Share your experiences in the comments below! Thanks for the comments! Hopefully people will consider your words about putting strange things in your eyes. Great info! I have dry eyes and this article is very helpful for me. I am going to try lemon juice for treating my dry eyes. Thanks for the great article.